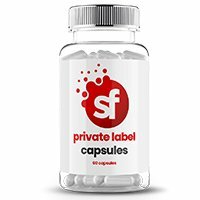 Supplement Factory are proud to develop some of Europe’s leading wholesale fat burner capsules for some of the world’s largest sports nutrition and MLM brands. Our new product development team have helped brands increase consumer e-commerce spend, improve customers loyalty to the products and in turn gain increased profitability. Why are fat burners so popular? The global fat burning food supplement market is expected to rise to a CAGR of 7% between 2018-2023. This market is highly competitive, especially within developed economies such as Europe and North America. Fat burners are one of the most popular categories within the supplement industry, boosting health, performance, weight loss management or a number of these factors. Fat burners increase fat metabolism and fat oxidation during exercise and working out. They often contain several key ingredients that contribute to this. By type, the fat burning supplement market can be segmented into liquid, powder, capsules and “other” such as soft gels and ready to drink formulas. The capsule segment is expected to reach a CAGR of 6.1% between 2018-2023. How Are fat burners beneficial? Thermogenesis is a metabolic process in which your body burns calories to produce heat. Thermogenesis is induced within the body through exercise, diet and environmental temperature, promoting weight loss as your body increasing the calories it is burning. Lipolysis involves the breakdown of lipids and hydrolyzing triglycerides into glycerol and free fatty acids. The following hormones induce lipolysis: glucagon, epinephrine, ghrelin, growth hormone, testosterone and cortisol. The term “fat burner” is used to describe food supplements that are claimed to acutely increase fat metabolism or energy expenditure, impair fat absorption, increase weight loss and increase fat oxidation when exercising. Often supplements contain several ingredients, each brand claiming its own proposed mechanism of action and claims to associate with its contents. Thermopure by MyProtein claims to use a blend of essential vitamins, green tea and black pepper extracts blended with caffeine and cayenne pepper to boost everyday wellbeing as well as increase performance and weight loss through thermogenesis. FORZA Industries T5 fat burner combines acetyl L-carnitine, cayenne pepper and panax ginseng, claiming to provide a physical and mental edge, as well as boosting with 300mg caffeine per serving. Forza T5 Super Strength contains a unique blend of vitamins, minerals and essential nutrients that enhance several important metabolic processes. This includes choline, which supports the breakdown of fats, and zinc, which helps the body to break down carbohydrates. In addition, the metabolic formula contains iodine to help improve thyroid function and chromium to help regulate blood sugar levels. Is caffeine necessary for fat burning? In a study of 76 overweight volunteers, combining high caffeine and low caffeine takes daily with a low-calorie diet, weights were measured. As the end of four weeks, higher weight loss was linked to higher caffeine intake in women. 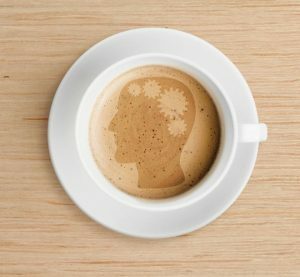 For exercise, research shows that low doses of caffeine can be just as effective as high doses for enhancing exercise performance. For fat burning goals however, it appears that the metabolic response to caffeine increases in a dose-dependent manner. Research shows that caffeine improves strength, improves muscle endurance and anaerobic performance. Stimulate lipolysis, freeing up fatty acids to be burned for energy. Increases metabolic rate, or the rate at which fuel is burnt for energy. What key ingredients should be in a fat burner? L-Carnitine plays a key role on the mobilization of body fat for fuel within the body. L-Carnitine transports the fatty acids to the mitochondria where the fatty acids are oxidised for fuel. Athletes prefer this ingredient to burn fat and increase aerobic endurance. L-Tyrosine is an amino acid which is used in the body for the creation of the neurotransmitters adrenaline and noradrenaline. In addition to these, tyrosine is also used in the body to create dopamine. When adrenaline goes up, so does the heart rate and body temperature. With this, comes a bigger calorific usage and a reduction in appetite. Studies show that green tea not only burns calories but also reduces existing body fat through stimulating effects. Are non-stimulating fat burners just as effective? Stimulants within fat burners raise levels of nervous or physiological activities within the body. They work by increasing the heart rate which increases energy expended, increasing calories burned. They also increase awareness, energy, focus, blood pressure and heart rate. 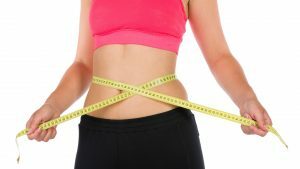 Stimulant free weight loss supplement ingredients have been shown to significantly reduce weight and fat without the side effects of stimulants. Those with a sensitivity to caffeine, or already consuming supplements containing caffeine will often opt for these. Stimulants should also be avoided by those with high blood pressure. The main purpose of non-stimulant fat burners is to focus in the functioning of the natural pathways of the body which do help you lose weight. Why buy fat burning capsules with Supplement Factory? At Supplement factory, we contract manufacture a formulation to you. 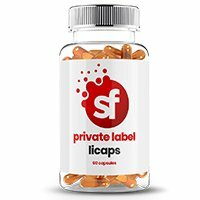 Whether you require a stimulant of stimulant free fat burner, we work with you to ensure your product is packed with high-quality ingredients that are backed by EFSA approved claims or are well known within the category. Take a look at our ingredient suggestions to start building your fat burner product today.